Treat yourself to this article by Brian Roche in the latest edition of New England Antiques Journal: Bridging the Gap Between Past and Present: The Preservation and Repurposing of Historic Railroad Bridges. 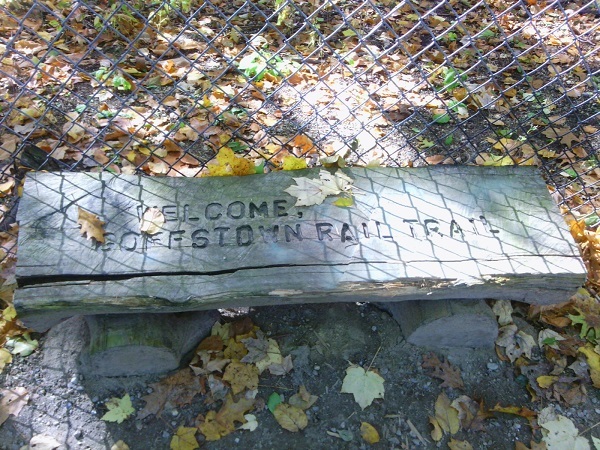 In one of the sidebars, you’ll see some pictures familiar to longtime readers of Granite State Walker. I was surprised and pleased to get a call a few months ago from Mr. Roche, a freelance writer. 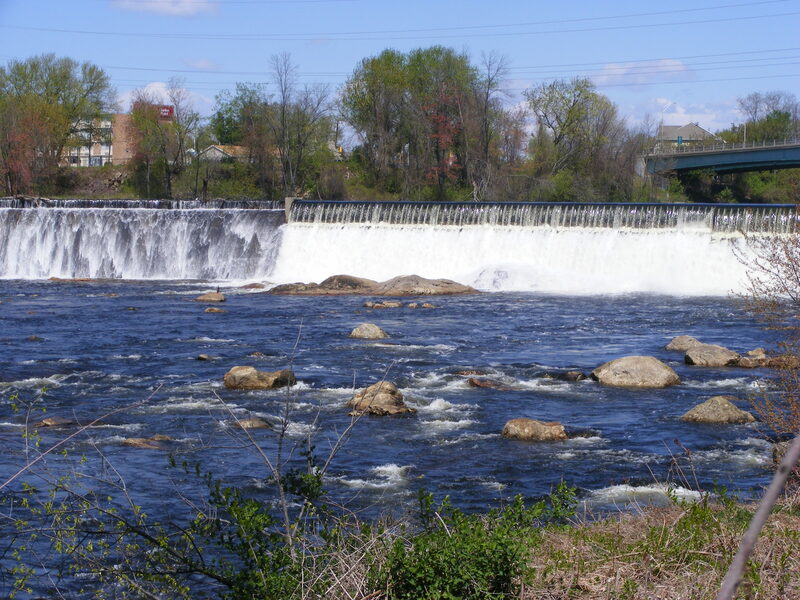 While researching the rail bridge article, he came across this blog and its posts about the Hands Across the Merrimack bridge in Manchester. He kindly sought permission to use some of my photos. The resulting article features photos of several northeastern bridges of striking beauty. I’m honored that a few of my photos made the cut. Mr. Roche spelled my name correctly in his text; it was left to a magazine editor to misspell it in the sidebar. But to err is human, and to publish photos of a New Hampshire treasure is divine. 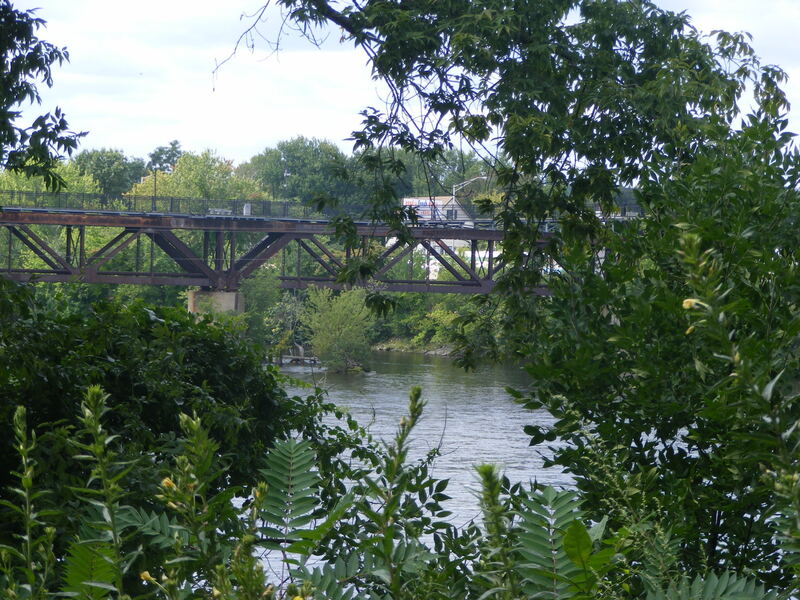 Second Street bridge, just west of Hands Across the Merrimack Bridge, along the Pisacataquog trail. This morning’s newspaper carries news of the passing of Helen Closson of Manchester, New Hampshire at the age of 94. The headline describes her as “a force for good.” The long list of her civic activities bears this out. 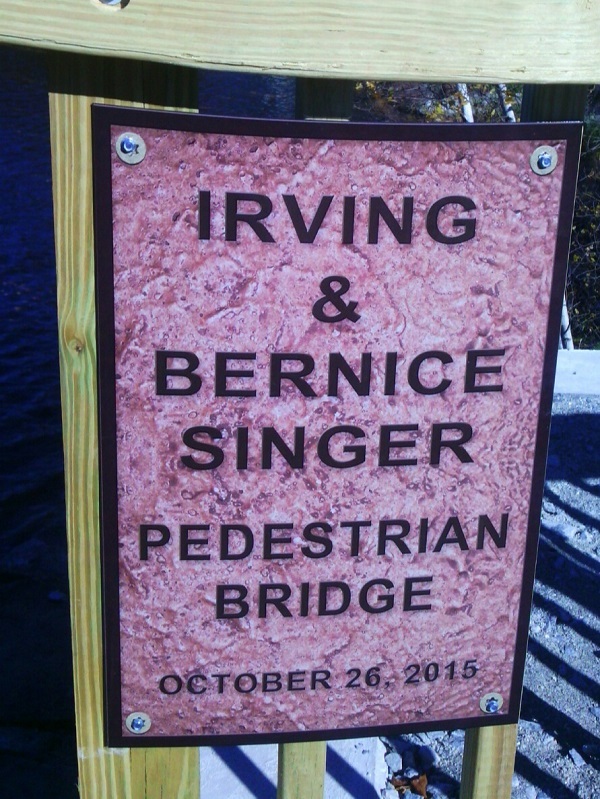 As a Granite State walker, I will always think of her as the woman who brought us the Hands Across the Merrimack pedestrian bridge over the Merrimack River in Manchester. The Hands Across the Merrimack bridge. Ellen Kolb photo. 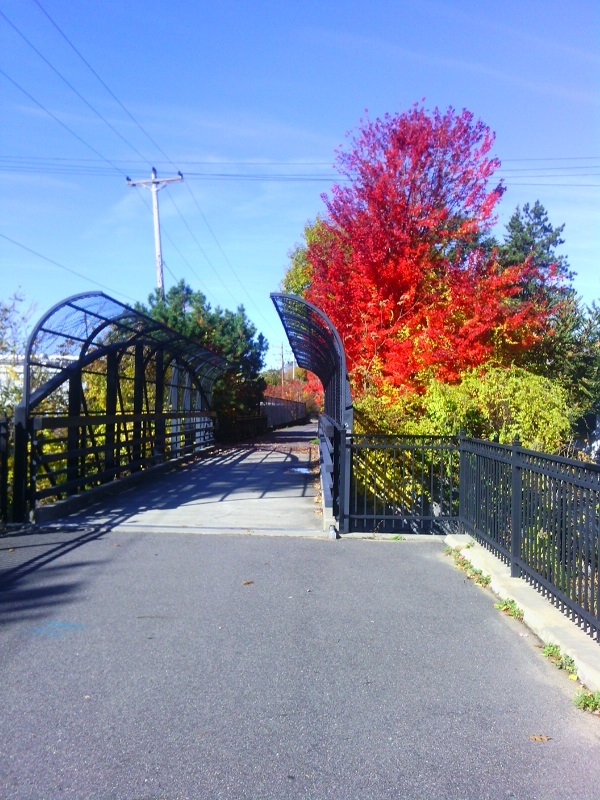 The bridge is a gem, pleasant in itself, all the more valuable for its setting along a rail trail that now stretches from the south end of the Millyard well into Goffstown. 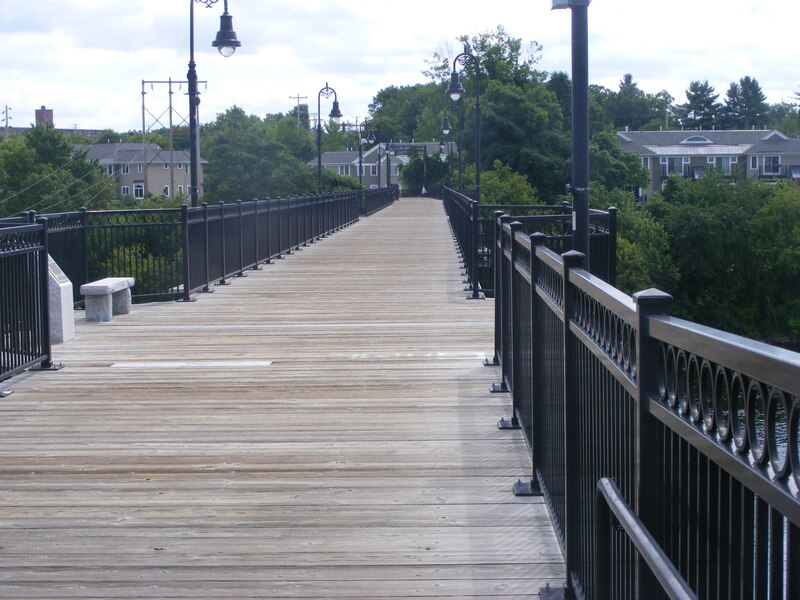 Turning an abandoned rail trestle into a pedestrian walkway is a team effort, and my gratitude for the bridge ought to be extended to many people. Mrs. Closson, though, was the team leader who saw the project through to the end. 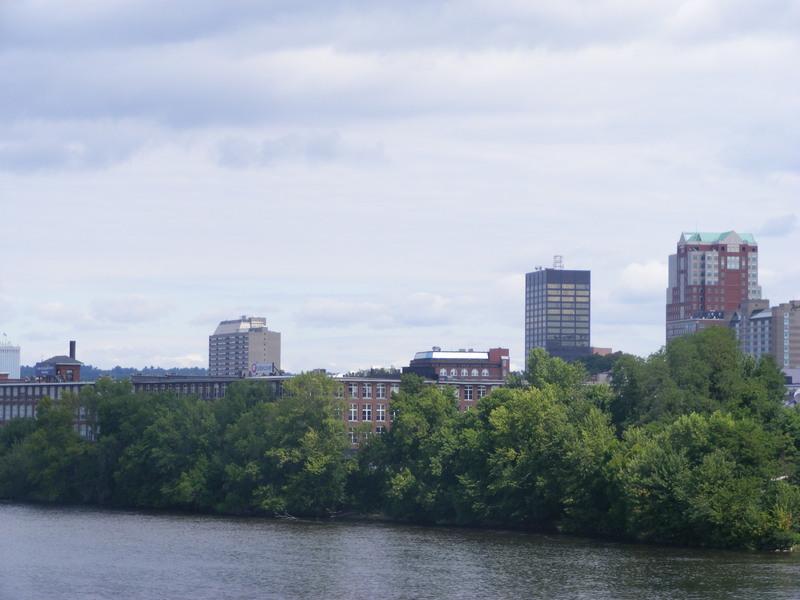 Manchester, New Hampshire, as seen from the Hands Across the Merrimack bridge over the Merrimack River. I was early for the New Hampshire Fisher Cats game a few days ago (that’s baseball, for all you out-of-towners). It’s been too long since my last stroll over the Hands Across the Merrimack bridge, part of the rail trail that begins behind the baseball stadium and extends a couple of miles west along the Piscataquog river, clear over to West Side Arena. 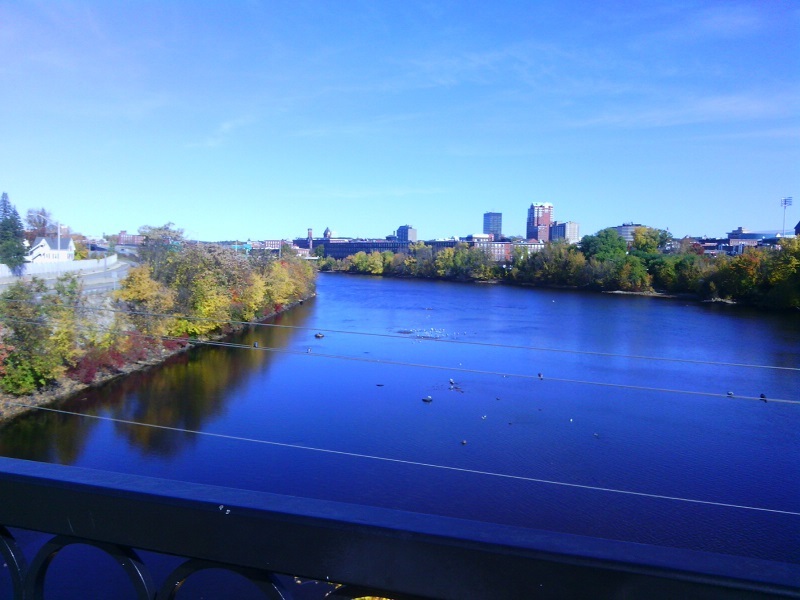 The Hands Across the Merrimack bridge over the Merrimack River, seen from the trail behind Northeast Delta Dental Stadium. The bridge should be a good spot for seeing eagles. There’s a nesting pair about a mile south along the river. I’m always driving when I see one, so I’ve never gotten a photo of a bald eagle – but I’ll be in the right place at the right time someday. Looking south toward the Queen City Avenue bridge. The odd bit of graffiti aside, the bridge is in good shape structurally and aesthetically. 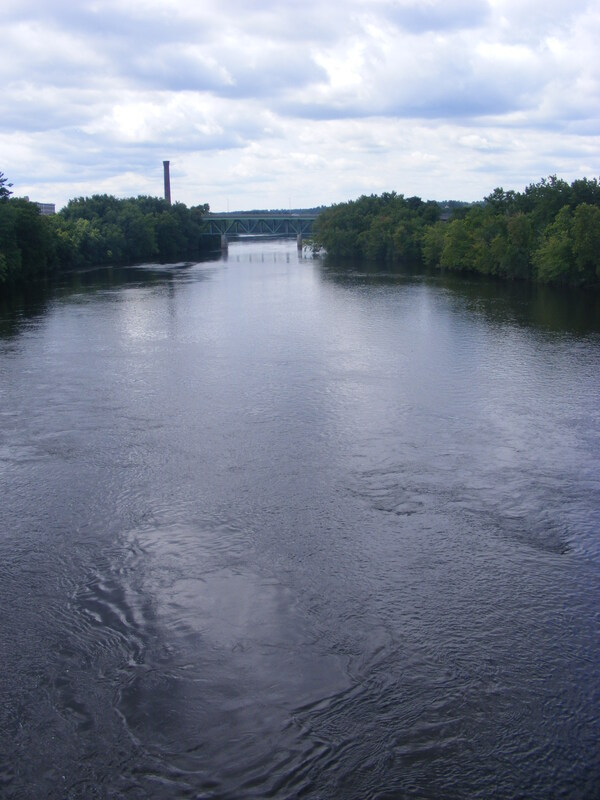 And for crossing the Merrimack river, it sure beats dodging the auto traffic on the nearby Granite Street bridge. 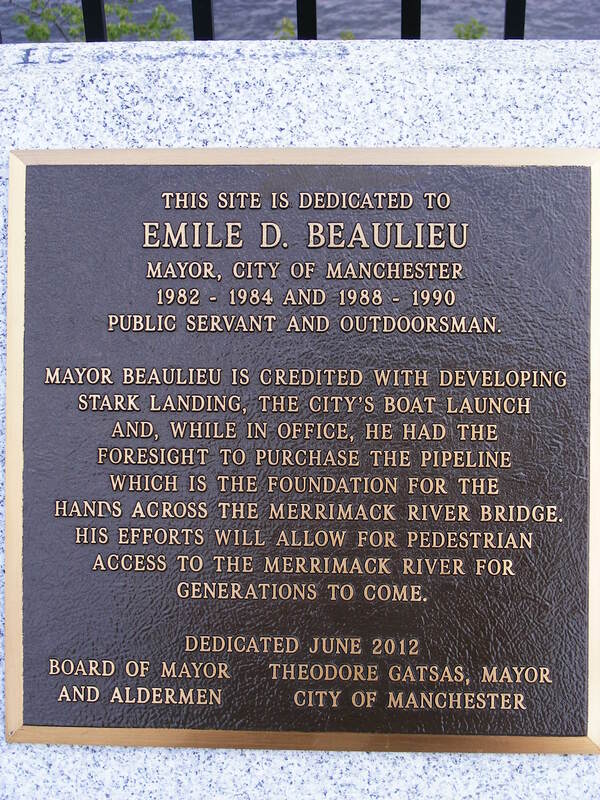 It’s good to see this acknowledgment of one of the people who made the Hands Across the Merrimack bridge project happen. 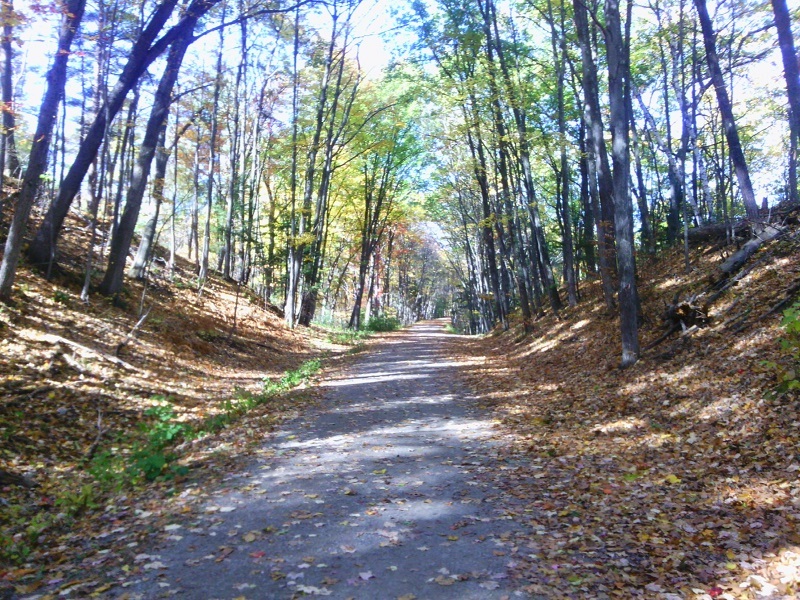 Update: Manchester & Goffstown trails to be connected! See today’s Union Leader, page B1, for great news about rail trail development in greater Manchester. 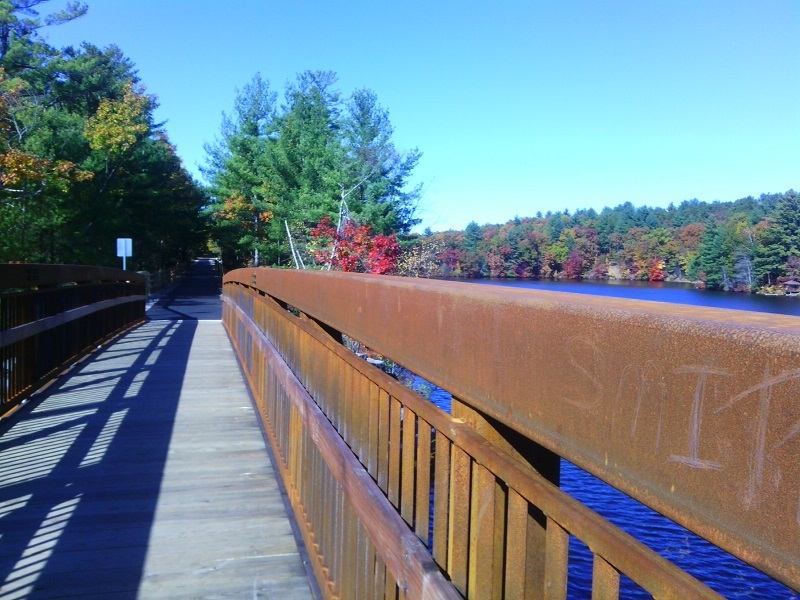 Three years ago, I wrote about the rail trail that begins at the bridge over the Merrimack River in Manchester, continuing west along the Piscataquog River up to the closed-off trestle over the Piscataquog into Goffstown. I expressed pessimism at the time about any restoration of a pedestrian crossing there. Well, hush my mouth. Today’s newspaper report says that a new steel bridge will be built alongside the old trestle by the end of this year, thanks to funding from a number of sources. This is great news.